With near silence in the air and fog moving over the Hayden Spire, a drop of sunlight illumintates this ghostly tower as seen from across the expanse of Forest Canyon. 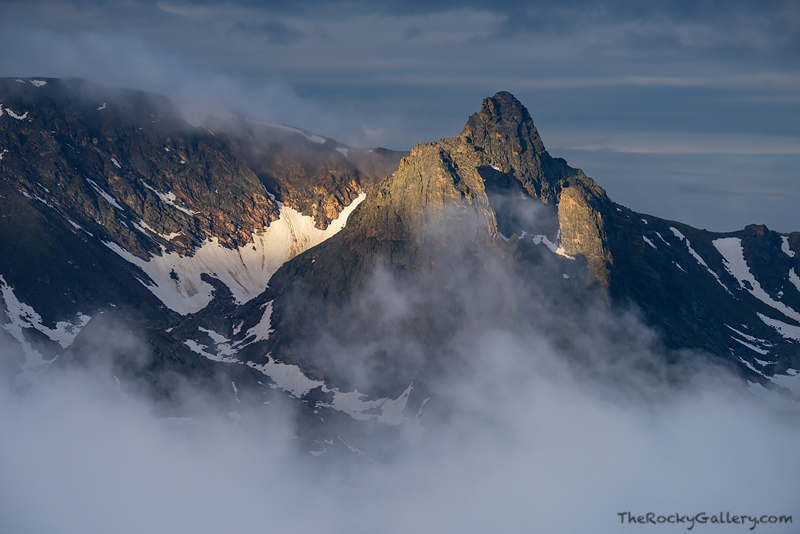 Though easily seen from Trail Ridge Road, the Hayden Spire is one of the most remote and desolate locations in all of Rocky Mountain National Park. Only a few people each year journey through the nearly impassable terrain of Forest and Hayden Canyons to visit this peak. Photo © copyright by Thomas Mangan.